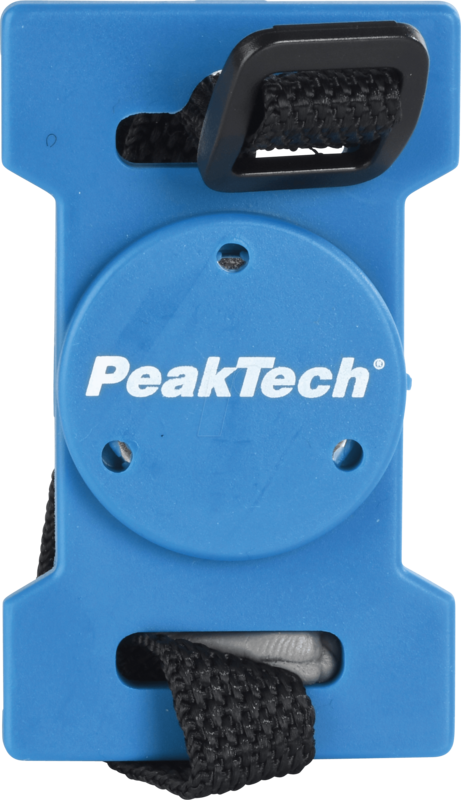 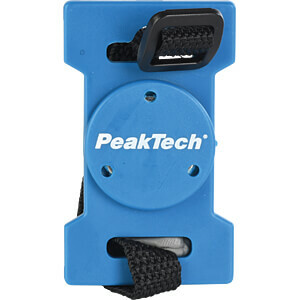 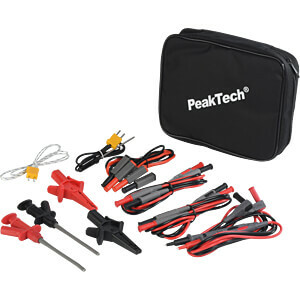 Big Peaktech Special Promo - THE measuring set for your project! 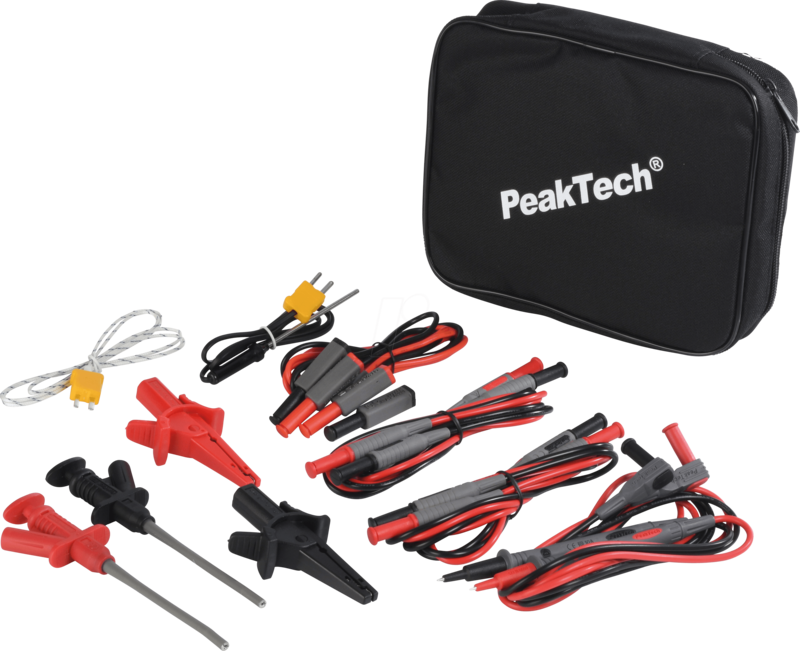 Whether private Raspberry Pi / Arduino applications, simple to complex circuits, training purposes or even industrial applications - with this set you are excellently equipped! 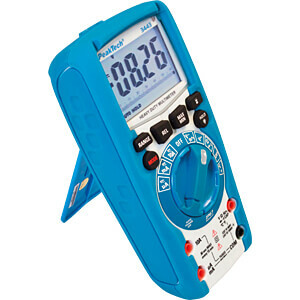 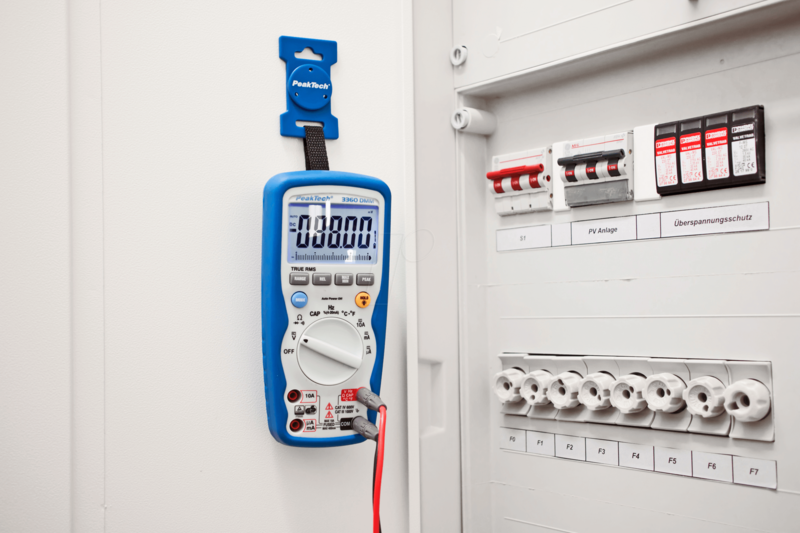 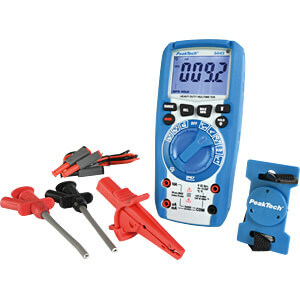 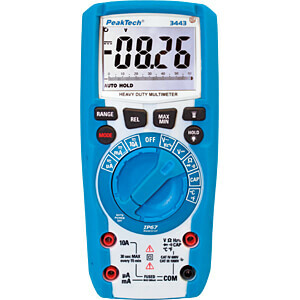 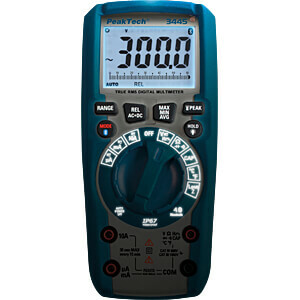 The PeakTech 3443 is a newly developed high-power digital multimeter with a variety of useful measurement functions. 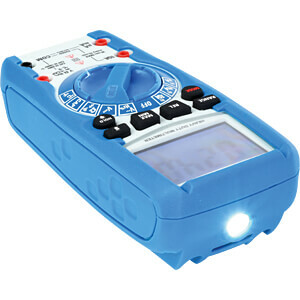 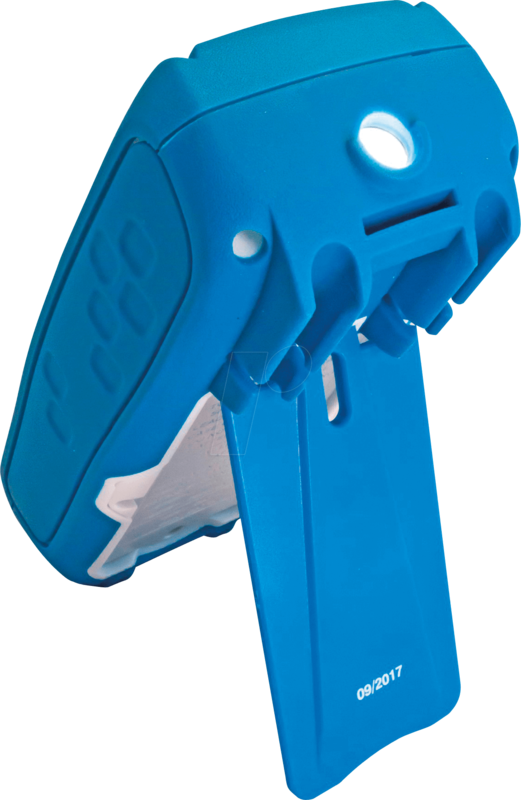 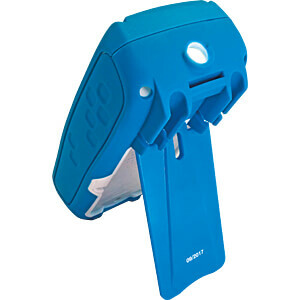 As a unique feature, this series features illuminated function buttons and rotary selector switches so you can use this IP67 waterproof device even in the worst conditions and in total darkness. 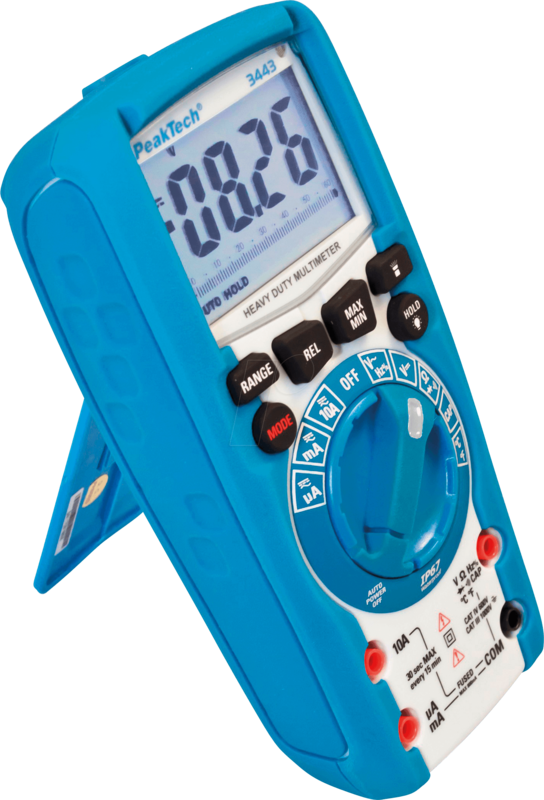 In addition to the extensive measurement functions for current, voltage, capacitance, resistance, and much more, this device features temperature measurement, MAX / MIN, peak and a data hold function. 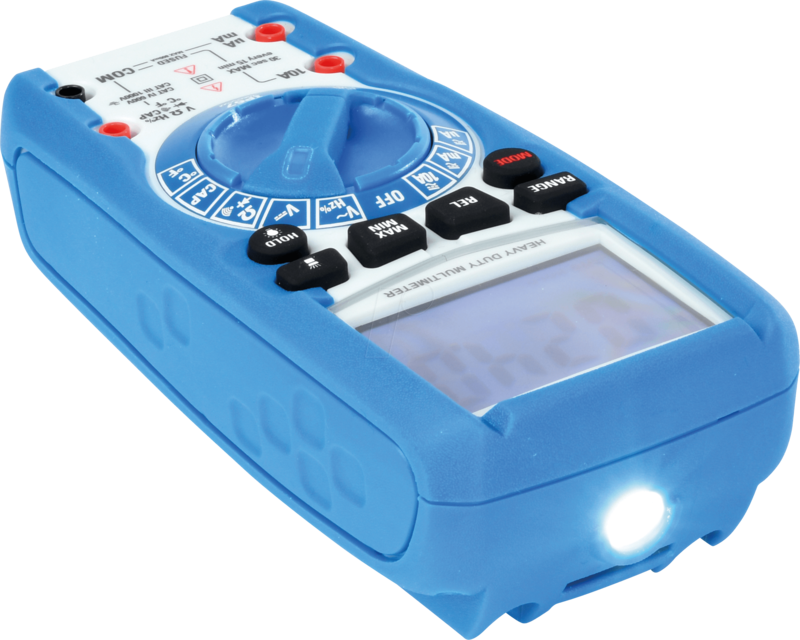 Due to these many excellent technical features, this device is perfectly suited for every field technician, technician and engineer for the daily field service in the service, construction or industrial sector. 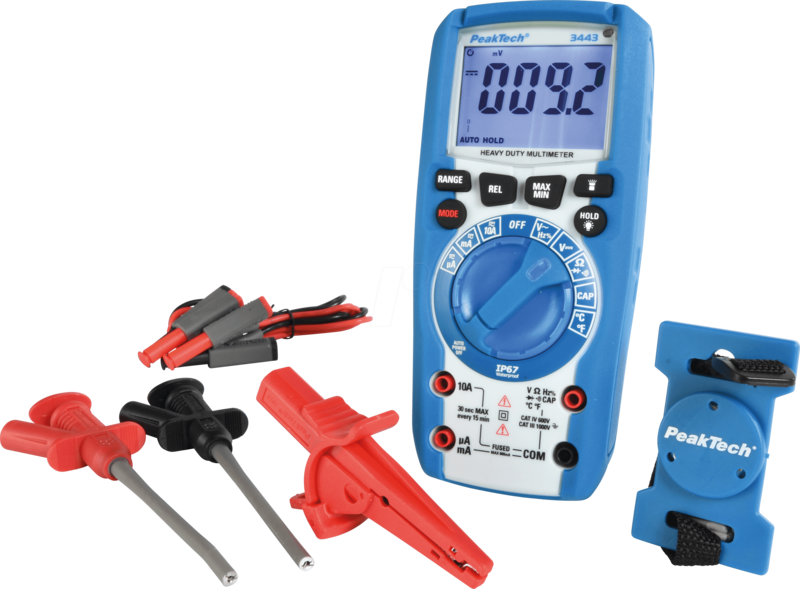 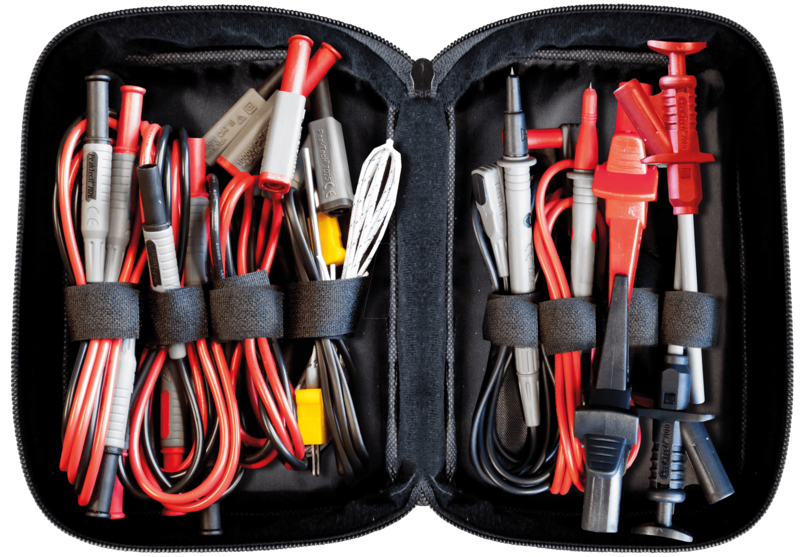 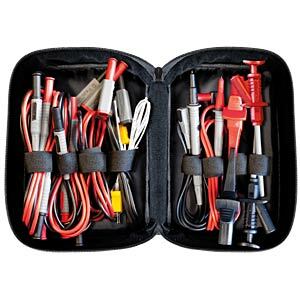 This comprehensive collection of measuring accessories for the electronics industry offers the right measuring adapter for the desired application for every digital multimeter. 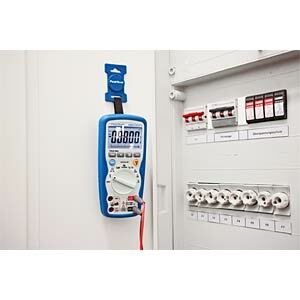 This magnetic holder is used to attach your meter to metal walls, such as the doors of a sub-distribution, the Schaltschrankbau, the motor vehicle or in shipbuilding.